All the information and photos in cactus art files are now available also in the new the Encyclopaedia of Succulents. We hope you find this new site informative and useful. Cultivarion: It is fairly easy to grow both indoors, as well as outdoors in warm climates and can grow at about 10cm a year. During winter it is deciduous, except in very tropical areas. 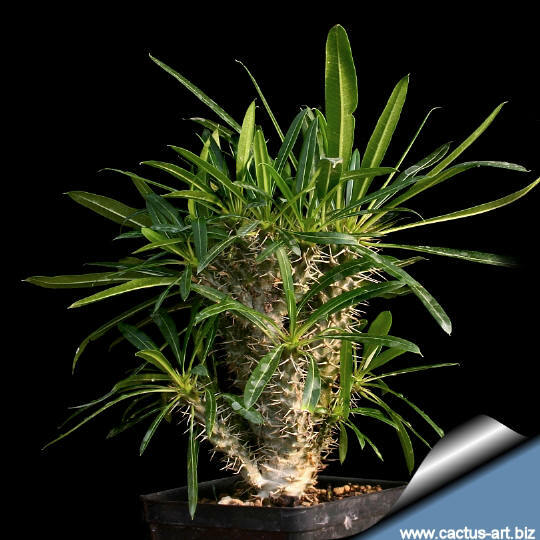 Needs a draining cactus potting mix and regular water when the plant has leaves, contrary to popular belief, it likes a lot of water in the warm summers, as long as it's planted in a very well draining soil. Indoors it is best to err on the dry side, or it is prone to rot. It like full sun to light shade with warm temperatures. 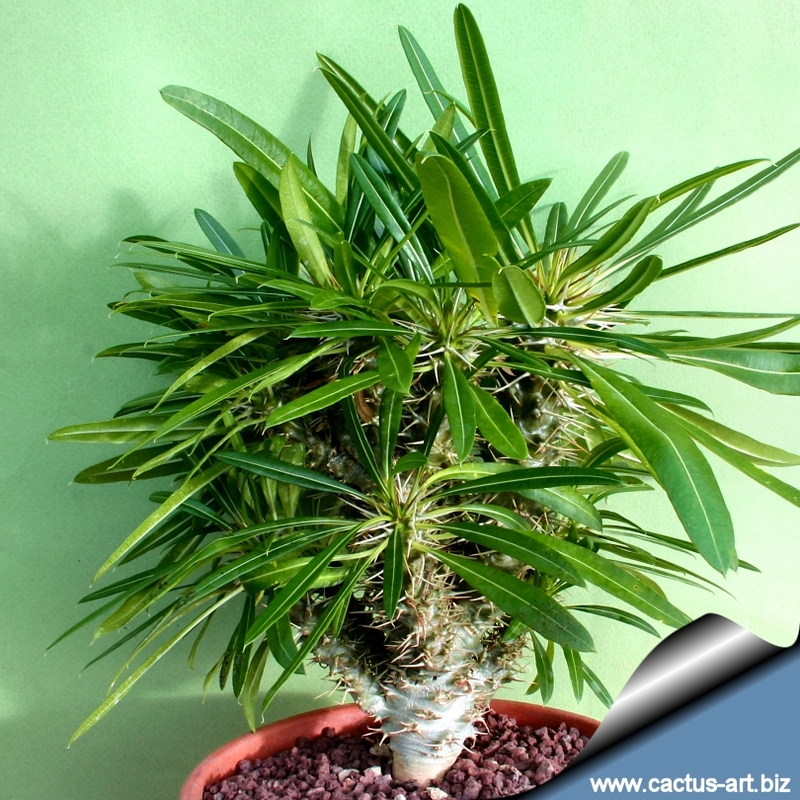 It is a fairly slow growing plant, but in 10 years it can easily outgrow its indoor location, requiring a 'pruning'. Though branching is usually a response to naturaly injury, or something that happens in older specimens, one can stimulate branching by cutting off its top. It has amazing regenerative properties. 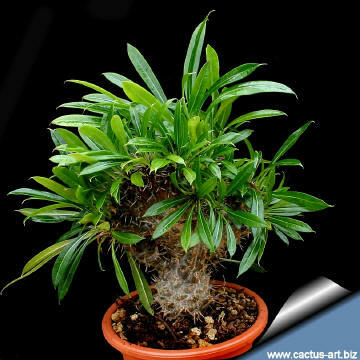 Repot the plant every 3 years; this is quite tricky given all the spines. The best way is to wrap several layers of newspaper around the trunk where it is to be handled. 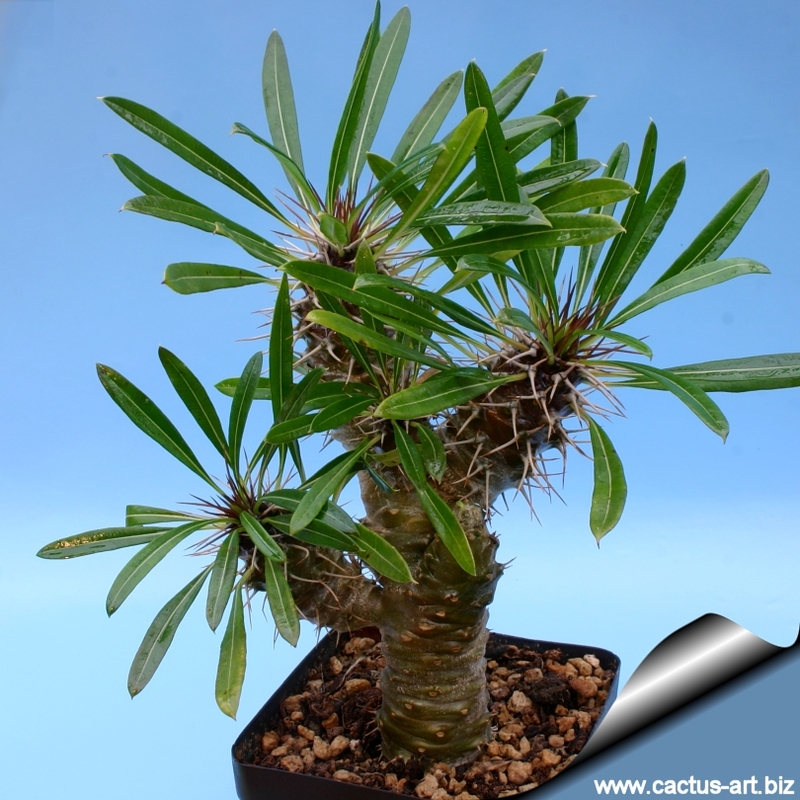 Description: Pachypodium lamerei forma mostruosa is a small deciduous perennial plant which has succulent stems and branches and ranges in height from 50 cm to the size of a small tree 2.5-m tall with optimal conditions. 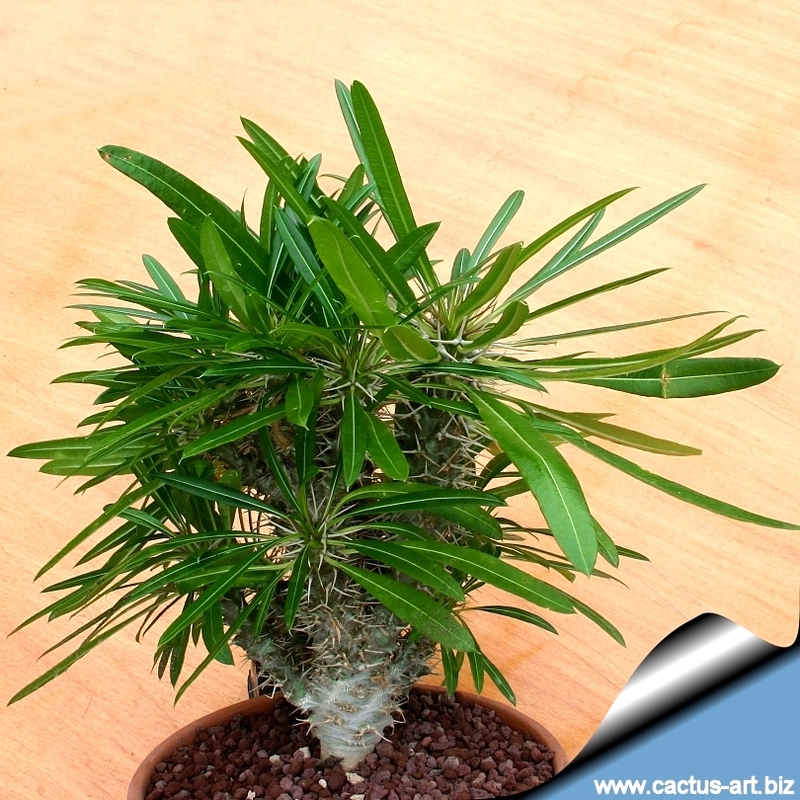 It starts to create multiple basal branches when very small and form soon an intricate bush. 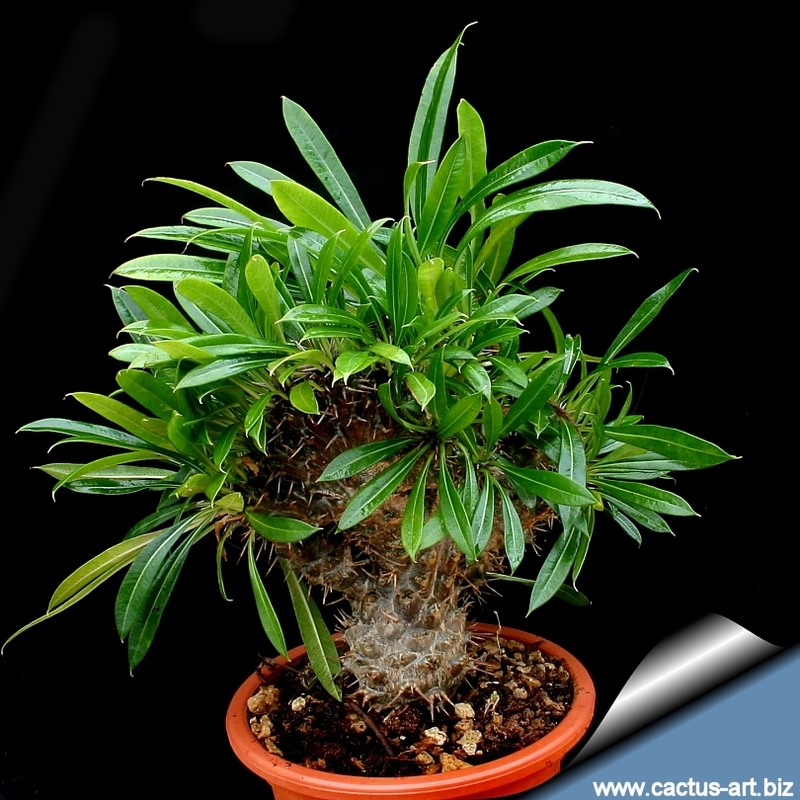 The foliage is arranged spirally only at the top of the trunk (like a Palm Tree). 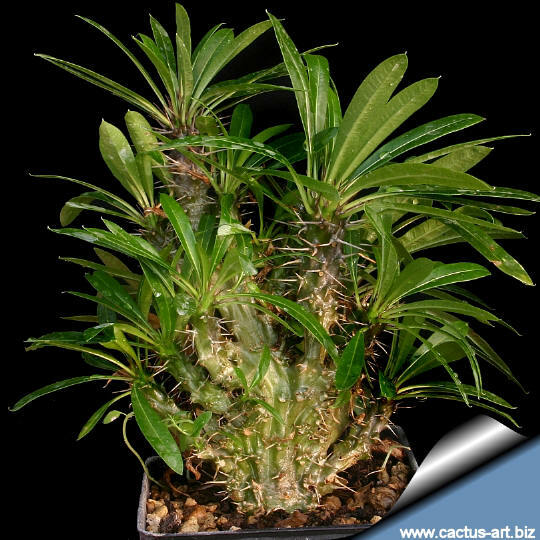 Photo of conspecific taxa, varieties, forms and cultivars of Pachypodium lamerei.